Khoisan Tea was founded in South Africa in 1997 and the company’s Rooibos teas are today well-known around the world. The key to Khoisan Tea’s success is to only work with the finest ingredients, focusing on sustainability and long-term relationship with relevant partners. Since 2004 the brand is represented in the Swedish market through V-Sell Ekologiska Produkter. Khoisan Tea has since then grown rapidly and is today a well-known brand in Sweden. When V-Sell Ekologiska Produkter wanted to launch its own brand, it was natural to collaborate with Khoisan Tea, a popular brand with a strong organic profile – what could be better for this purpose? 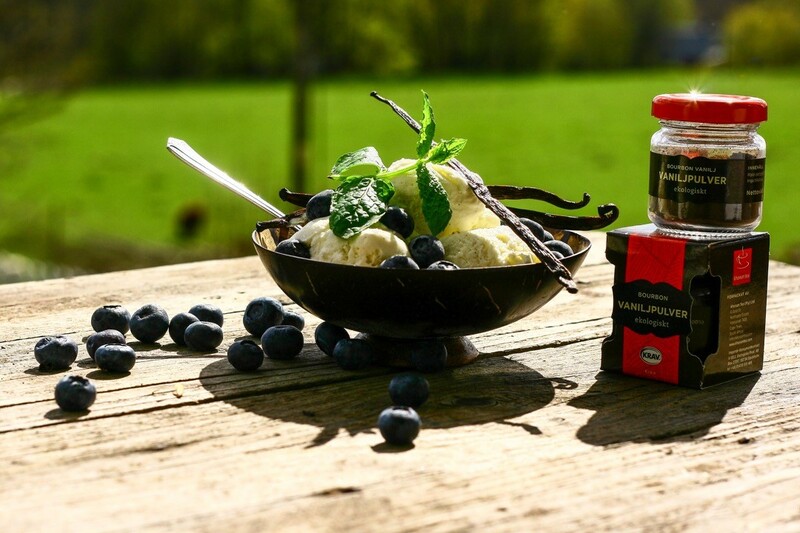 In 2014, V-Sell Ekologiska Produkter took over Khoisan Tea in the Nordic and Baltic countries. Khoisan Tea, which is associated with great teas and genuine bourbon vanilla, has in 2015 strongly expanded the range of products for baking and flavouring. This journey has just begun!